One of the most common areas that can become cluttered and unorganized in the home are toolboxes due to the number of items that you can hold inside of the container. From drill bits to hammers, there are several types of equipment that are often difficult to find once they begin to accumulate in the toolbox. When you want to organize the items like a pro, there are a few steps to take, which will increase your productivity when performing repairs or projects. Remove all of the tools and place them on a tarp in the garage before you attempt to sort everything. Begin cleaning out the drawers and grouping like items together. You can free up extra space by throwing out tools that don’t work, or you haven’t used in several years. 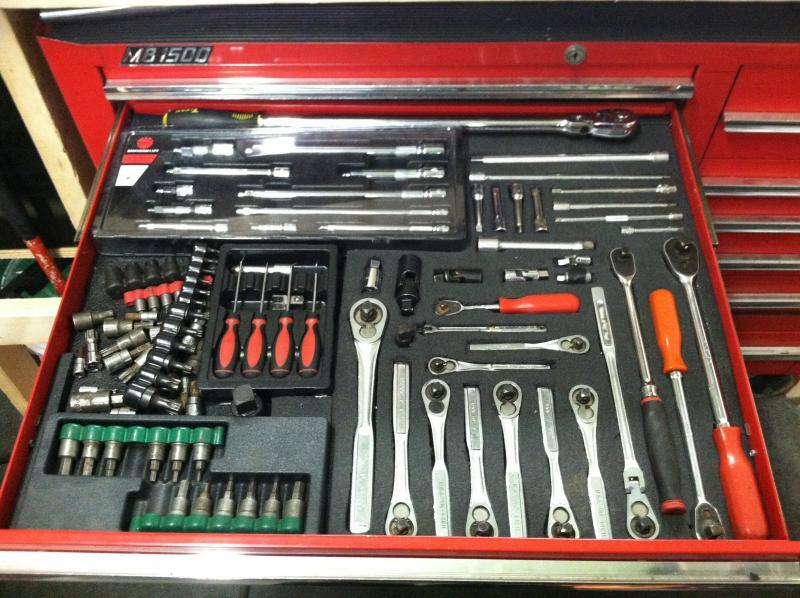 You can also consider throwing out tools that you have duplicates of, which can free up space in the toolbox. Certain products are also unnecessary and may not be used again, which includes Allen wrenches and small screwdrivers that come in furniture assembly kits. Make it easy to find nails, tacks, and other small items in the toolbox by using smaller plastic containers to hold the products. Label each container and group the like items to prevent the box from becoming messy again. Place the heavier tools in the bottom of the toolbox to evenly distribute the weight of the box and prevent it from falling forward. Adding lighter items on the top drawers will also keep them from breaking. The sockets should be stored in the upper drawers to make them easier to reach and will allow you to read the markings. Most experts recommend placing the most commonly used items in the middle drawers to make the tools easy to access. Labeling drawers in your toolbox enhances the appearance of the unit and will prevent it from becoming disorganized in the future. You can quickly find what you need in seconds without opening each drawer as you attempt to find the screws or wrenches. Although you may want the tools to look visually appealing, you can save space by placing everything close together on tool box foam sheets, which prevents the items from sliding around. You can make DIY socket organizers, screwdriver organizers, and wrench organizers with the material. Cut small holes around each tool to make the items easy to take out. Utility blades or X-Acto knives are the best instruments to use to cut through the foam and customize it for your box. 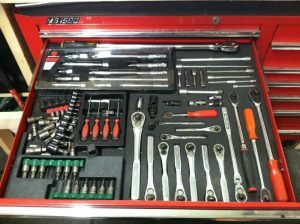 Using dividers in your toolbox is essential to preventing everything from becoming a mess if the tools aren’t separated and in their individual compartments. If you have multiple sets, use metal cardboard dividers and wood to prevent the items from mixing again. « Reality Check: Would Brexit create a DIY recession?